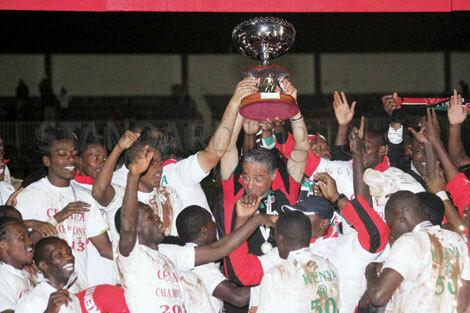 Harambee Stars players, the new Cecafa Senior Challenge Cup champions, are over the moon as they celebrate with their trophy at Nyayo Stadium Thursday. Kenya ended their long wait for the Senior Challenge Cup title after stopping Sudan 2-0 at Nyayo Stadium yesterday . 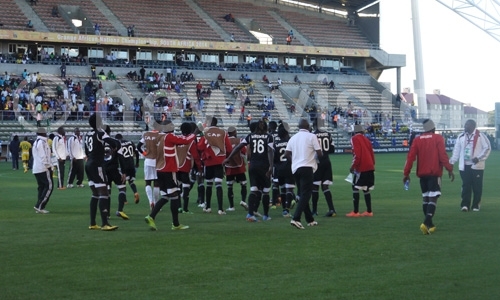 The match was however delayed for more than an hour after Sudan were locked up in their hotel for non-payment of bills. It took the intervention of top government officials and members of the Organising committee to have the team released. 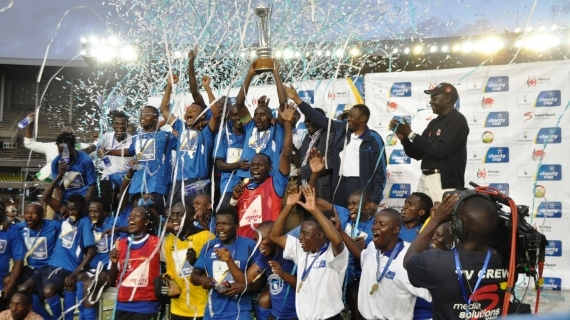 AFC Leopards forward Allan Wanga scored both goals to help Stars lift the regional title for the first time in 11 years. It was a performance for which he was named man of the match and speaking afterwards Wanga expressed delight at his performance and ending the 11 year drought. "It feels awesome to have scored both goals. We have been working hard in training and finally it paid off," said Wanga. Wanga's first goal came in the 35th minute when he headed home from a Clifftone Miheso corner kick. His second was in the 82nd minute when he slid to guide home a James Situma cross from the right flank. Playing before an almost packed Nyayo Stadium Stars got off to a positive start with Francis Kahata's fifth minute pass failing to find Edwin Lavatsa. But it was Sudan who got the first corner of the match in the eighth minute. However, after that Stars completely took over and dominated in every department. Coach Adel Amrouche's strategy to pack the midfield worked perfectly as Sudan were denied any opportunity to threaten the home defense. In the 13th minute Teddy Akumu's effort was put out for Stars first corner of the match. Two minutes later Allan Wanga should have scored his first but failed to anticipate an on-coming cross from Cliftone Miheso which he just briefly touched as Abdelrahman Ali in the Sudan goal kept out the danger for a fruitless corner. The second corner for Stars came in the 18th minute and another one two minutes later as the home side kept up the pressure. Sudan did not get their first shot at goal until the 28th minute when Nadir Elyateb's effort was stopped by Duncun Ochieng. Captain fantastic Allan Wanga scored a brace, in the 34th and 68th minutes to add the icing on Kenya’s 50 years independence celebration cake in leading the nation to a 2-0 beating of Sudan in the final that was played at the Nyayo National Stadium from 1830hrs local time. The win, the first since 2002 when Kenya beat hosts Tanzania 3-2, follows up on the last the team won at home in 1983, incidentally at the same venue, one that was delivered by Dr Joe Masiga’s lone strike against Zimbabwe. 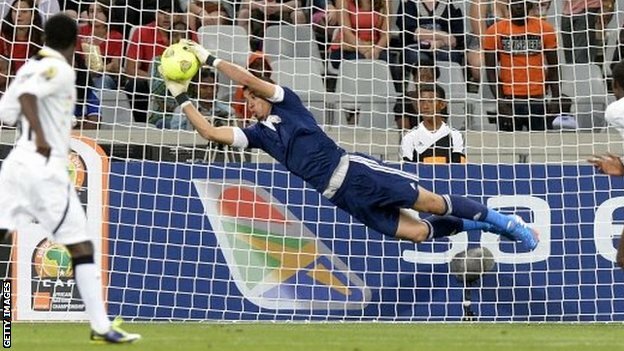 Last time round, in 2012, Kenya, then under Coach James Nandwa, came to within a whisker of winning the trophy but fell 2-1 to hosts Uganda in the final played at the Nelson Mandela Stadium in Namboole on 8 December. After an even first half that saw Sudan put Kenya’s midfield in check but had no answer to Allan Wanga who positioned himself well in the 34th minute to receive a floated pass from defender David Owino. Beating his marker, Wanga sent the ball to the back of the net via the underside of the cross bar. He was at it again in the 68th minute. Beating the outstanding centre back Eltahir Elhag, Wanga, making his 34th cap for the national team, slid a delivery from the right by James Situma - his new team mate at AFC Leopards, to the far post for the second goal, his eighth goal in CECAFA and 12th overall for Kenya. While Sudan was the dominant side in midfield, Kenya’s back line of Aboud Omar, James Situma, Jockins Atudo and Aboud Omar, with the support of Anthony Akumu and Peter Opiyo was impregnable. In winning the crown for only the sixth time after previous triumphs in 1975, 1981/82/83 and 2002, Kenya scooped the winner’s medal and the accompanying purse of US$ 30,000 that, for presentation sake, was handed out in a dummy cheque. In leading Kenya to win the 37th edition of the annual regional showpiece, Adel Amrouche becomes only the second foreigner to deliver the trophy after Englishman Ray Wood in 1975 when Kenya beat Malawi 3-2 in Zambia. 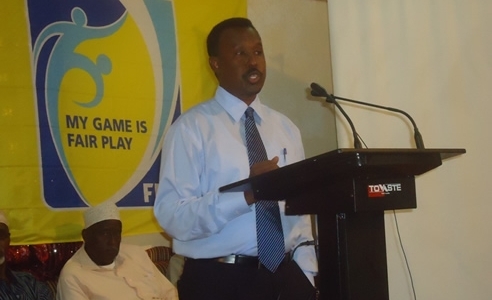 Local Coach Marshall Mulwa delivered the three trophies in the 80’s with Jacob Ghost Mulee the last one in 2002.